Lauren came to me needing a new, updated look and fast. We were able to complete her entire redesign quickly and it has become one of my favorites! 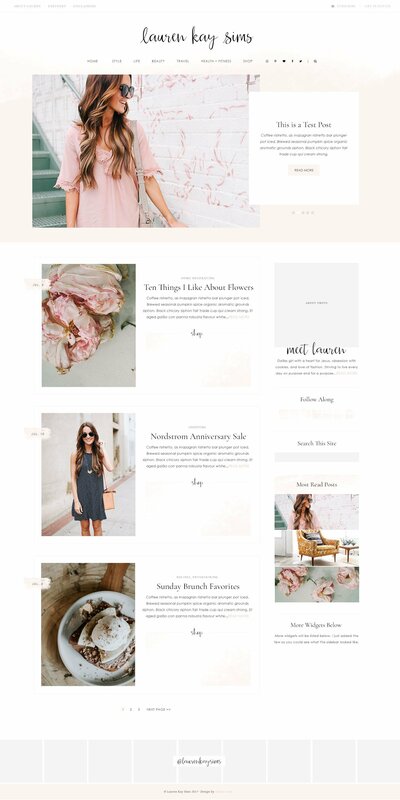 We stuck with the blush color palette she had before, added a few watercolor elements, and changed her layout to something easy to browse through. 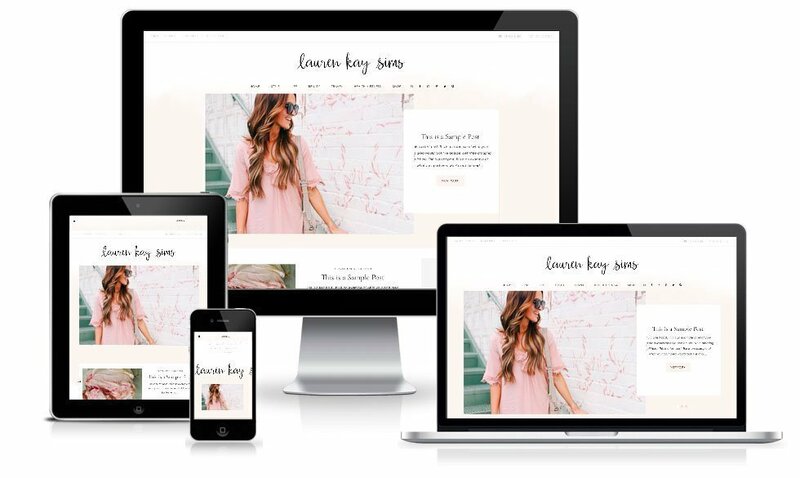 This custom blog design features a custom slider, custom popular posts section, a ‘shop the post’ homepage widget area, and a category grid page.